Taoiseach Leo Varadkar has launched plans for the development of a new Grand Canal Innovation District. 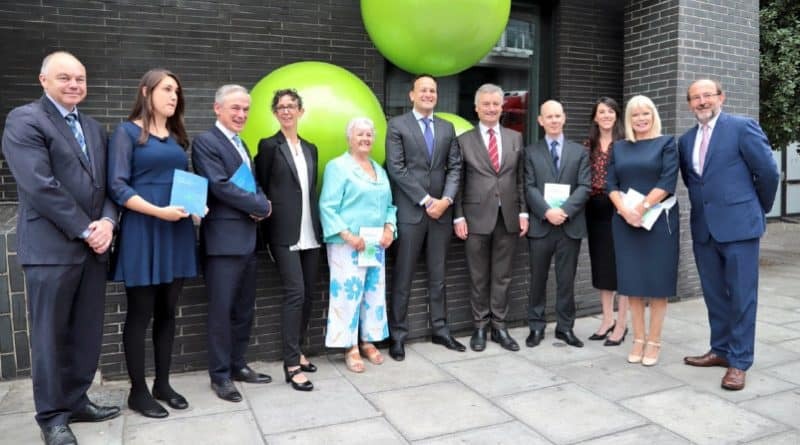 The initiative is central to the Government’s aim to make Ireland the tech capital of Europe and will complement Trinity College Dublin’s proposed development of their Grand Canal Quay campus. The District will be modelled on similar successful initiatives which have been put in place in cities like Barcelona, Boston, and Rotterdam and will focus on improving links between academia, established enterprises and start ups. To support the future growth and development of the area, the Taoiseach is establishing an Advisory Group, chaired by the Secretary General to the Government, to develop and agree a vision for the Grand Canal Innovation District. This will include representatives of business, the universities in Dublin, the local community and the public service. Develop and agree a vision for the Grand Canal Innovation District which would build on relevant existing policy frameworks and objectives for enterprise, academia, research and urban development. Consider how the District could help position Dublin within Europe and globally as a leading location for technology investment and innovation. Focus in particular on strengthening links between existing multinational companies in the area, SMEs and start-ups, and academic and research institutions, to build a stronger more sustainable innovation ecosystem. Speaking about the initiative, the Taoiseach said: I am really excited about this plan to further develop the Silicon Docks as an Innovation District involving a collaboration of business, Government and the university sector. It speaks eloquently to our vision of making Ireland the tech capital of Europe and our plans to ensure that the jobs of the future are created first here in Ireland. The development of the District will also help to ensure the continued balanced development of the area to the benefit of the local community. “We have to ask ourselves; how can we market Ireland and Dublin as the ideal location for the next wave of investment? As the world changes around us, we must continuously adapt and future-proof our economy. The development of the Grand Canal Innovation District is an exciting opportunity to build a world-class innovation district where companies, researchers and entrepreneurs link up, to identify new products or services and discuss how they might be brought to market.” he concluded.